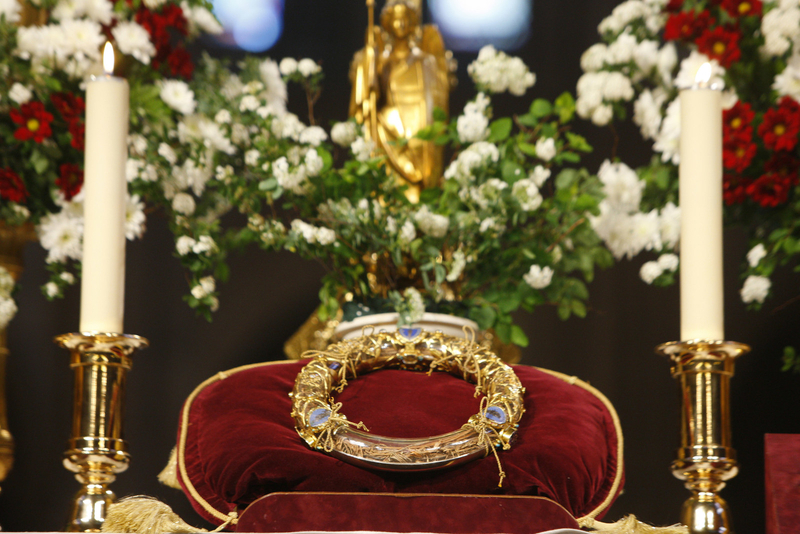 Culture Minister Franck Riester said that the cathedral's treasury of irreplaceable Christian relics — the most precious being the Crown of Thorns believed to have been worn by Jesus Christ, and the tunic of Saint Louis — was safe in the Paris city hall in a radio interview Tuesday morning. "Father Fournier, chaplain of the Paris Fire Brigade, went with the firefighters into Notre Dame Cathedral to save the Crown of Thorns and the Blessed Sacrament," Loraillère said. "Father Fournier is an absolute hero," a member of the emergency services told Sky News. "He showed no fear at all as he made straight for the relics inside the cathedral, and made sure they were saved. He deals with life and death every day, and shows no fear." "I gave collective absolution, as the Catholic Church authorizes me," Fournier said in the profile. The Crown of Thorns is believed to have been placed on the head of Jesus Christ during the crucifixion, and is only displayed in Notre Dame cathedral during Holy Week — which is currently taking place. It was brought to Paris in 1238 by French monarch Louis IX, who was later named a saint. 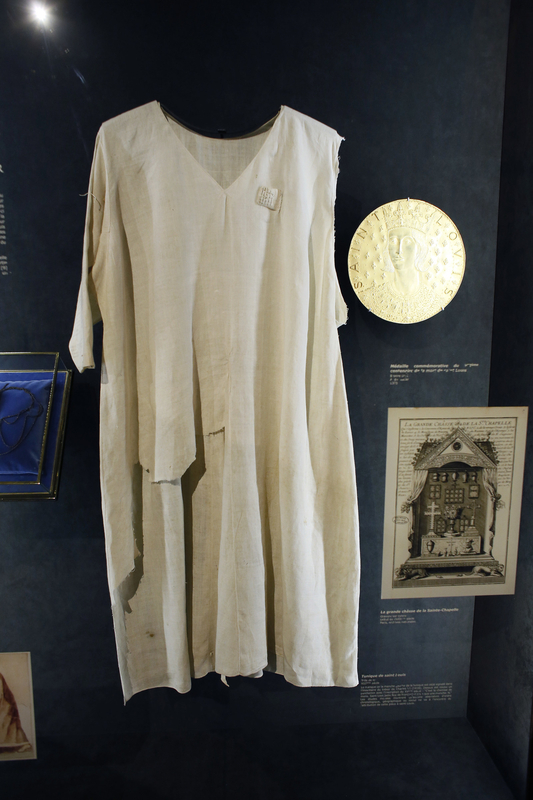 A linen tunic believed to have been worn by St. Louis is also one of Notre Dame's most precious relics that was rescued from the fire. "Thank you to the Paris Fire Brigade, the police, and municipal agents who made a formidable human chain to save the works of Notre Dame," she wrote. "The Crown of Thorns, the tunic of St. Louis, and several other major works are now in a safe place."